So many of us know exactly what we need to do in our lives in order to be successful and move forward. We’ve all read self-help books, listened to spiritual teachings, meditated, and done energy work. The advice is generally the same everywhere we look. “Let go of fear, think positive, expect good results, give to others, take the necessary action…” And while we can hear this advice over and over again, some of us still hit that point where we feel stuck. Then we begin to feel bad about ourselves and beat ourselves up for not having enough motivation, ambition or will-power. This whole merry go round of getting ourselves “prepared” by devouring more information, trying to implement it, and then sabotaging our success by either not doing it, or beating ourselves up if we do try it and it doesn’t bring us the results we were hoping for in the amount of time we thought they would happen in, can last months or even years for some people. So how do we fix this? 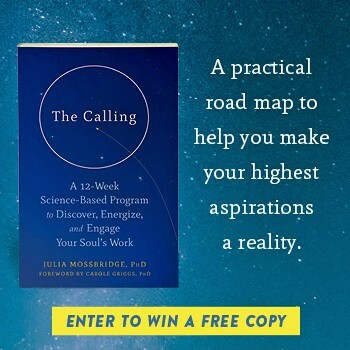 How do we get ourselves to the point that we easily and naturally make choices that are in complete alignment with our soul’s deepest desires and alignment with the healthiest version of our own selves that we all long to become? “When I feel better, I’m going to (insert goal here),” we often think to ourselves. “I’m going to finally start eating healthier, I’m going to quit my job that I hate, I’m going to take that vacation or start a new hobby,” are things that we often promise to do when we “feel” better. But perhaps we’ve got it backwards. When we wait for the time to “feel” better before we take the action that we feel is what will bring more happiness to us, we immerse ourselves in a self-improvement catch-22 of sorts.